Our new camp designed to help players that are either new to the transition of 8 v 8 to 11 v 11, or are within their first 2 years of that transition (rising U13, rising U14). Not only does the rising U13 age group transition into a larger field with more players and a more complex system of play, but they also change from using a size 4 soccer ball to a size 5. The change in ball size is often overlooked in this transition but can be a challenge for some to make the switch a bigger and heavier ball. WISA's new 11 v 11 camp is being implemented to change all of that. 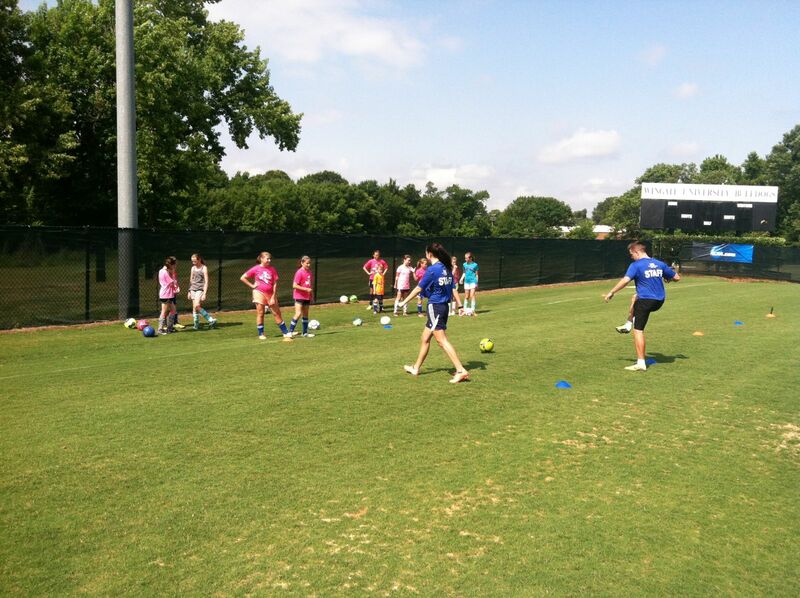 Instead of having to wait until their club season to begin working in this new format, we provide the opportunity for campers to go into preseason with the knowledge and technical ability to succeed in the new system. The 11 v 11 camp will run simultaneously with the junior and intermediate camps with the same hours as intermediate camp ( Dates and times to be announced). The morning session will be split into two parts: Technical session in order to get campers familiar with the weight and size of a size 5 ball, and a formation/tactical session in order to get players comfortable with the popular formations that are available to coaches at 11 v 11. The afternoon session after lunch will begin with a small warm up/ technical session to get players ready to play small sided games with size 5 balls. The idea of the small sided games is to work on the various parts of a formation that were discussed in the morning (ie. 7 v 7 small sided game, working with a diamond midfield similar to one used in a 4-4-2 or 7 v 7 working with a back 3 in a 3-5-2). Eventually campers will make the full transition to 11 v 11 in order to see all aspects of the bigger field and formation. Players can attend as a team or as individuals. Teams wishing to sign up may contact Jack Vundum at jwvundum@wingate.edu . Times: 9am- 3pm (lunch at 11:30), camp ends at 11:30am on the 27th. For any information regarding this camp, please contact Jack Vundum via email at jwvundum@wingate.edu.